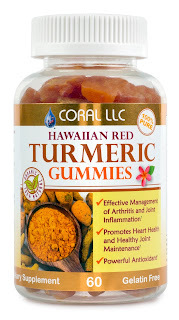 Keep yourself healthy this holiday season with a little help from Coral LLC I had the pleasure of reviewing their Hawaiian Red Turmeric Gummies. 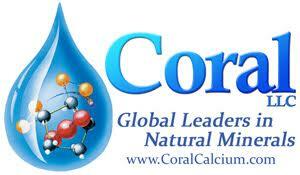 We have all heard how good turmeric is for our health and Coral LLC has now added black pepper to the formulation. The addition of black pepper allows the antioxidant & anti-inflammatory capabilities that turmeric provides. Keep reading to learn more. Coral LLC has increased the power of its popular Hawaiian Red Turmeric Gummies with the addition of black pepper to the formulation. Turmeric’s active ingredient, while known to offer a high level of potential health benefits due to its antioxidant and anti-inflammatory capabilities, is also notorious for its significantly low bioavailability—or absorption. When combined with black pepper, turmeric’s bioavailability is increased by 2,000 percent. Now that is impressive. Why not get the most bang for your nutritional buck with these yummy, slightly spicy, and sweet gummies. Adding black pepper allows you to reap the full healing potential of turmeric, recognized for thousands of years by so many civilizations. While just recently becoming popular in the US, turmeric is a great way to increase your health. If you have inflammation or arthritis I highly recommend you give these yummy gummies a try. Turmeric is packed with antioxidant, anti-inflammatory, anti-cancer, analgesic and immune-modulatory properties, turmeric also may have a beneficial role in the treatment of arthritis, indigestion and certain cancers, as well as the regulation of immune system, heart and skin health and more. As a duo, turmeric and black pepper may also be beneficial in the management of high cholesterol levels and breast cancer*. Coral LLC Hawaiian Red Turmeric Gummies offer 100 mg of Hawaiian-grown, organic turmeric and 2 mg of BioPerine® black pepper extract. The great-tasting gummy bears are gluten-free, soy-free, dairy-free, gelatin–free, and are easy to digest and absorb.